On Fridays for the past while, we’ve been talking about setting up a private practice: deciding whether or not to leap into the field, naming the practice, identifying the populations you wish to see, finding office space, preparing the space, and identifying your referral sources. This week, it’s time to consider your practice announcement. Why do I need a Practice Announcement? Because your referral sources aren’t psychic. 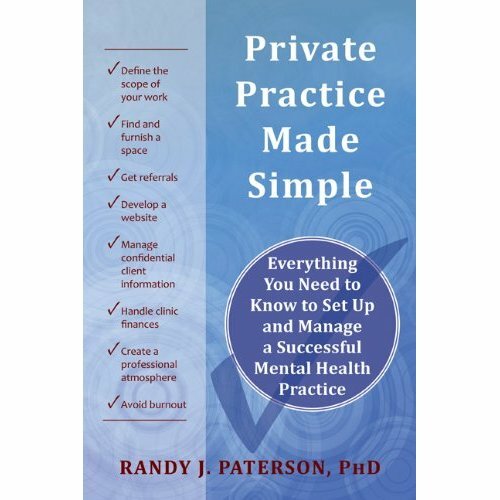 They either don’t know you, or if they do, they haven’t remembered that you’re opening a private practice. We’d like them to remember, but they don’t. So we need to remind them. And we’ll probably do it by sending them something: Our card, our brochure, our referral form. But we need a letter to encase all this and explain ourselves. Umm, what if I’ve never seen one of these? 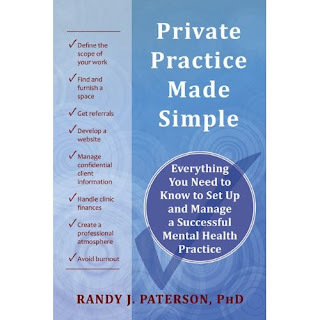 As a part of the resource materials to accompany my book Private Practice Made Simple (New Harbinger Publications, 2011), I have developed a sample practice announcement. Practice announcements are deceptively difficult to write, because you have to get a lot of information into a very small space. Expect to spend at least two hours drafting the letter (it’s worth it). Be concise. It has to fit on one page, without shrinking the margins. Your letterhead. You want to print your announcement on your clinic letterhead. If you have electronic letterhead (something that appears onscreen that you can put at the top of any letter and print out, generally in black and white), you can use that. But it’s better to use your nicer formal letterhead that you can get made up at any print shop. The date. Print out only as many of these letters as you can send in a day, so that the date doesn’t look old. Personalized greeting. “Dear Dr ___.” If you can manage it, either do a mailmerge to personalize your letters or alter each copy before you print it (I do the latter, as I’m mailmerge-impaired). A personalized note is much more likely to get the recipient’s attention. Say what you’re writing about. If 90% of people read the first line of your letter, perhaps 89% will read the second. Less than half will get all the way through it. So make your point early. “Announcing MyClinic.” Then repeat this in longer format in the first paragraph. A one sentence description. Why are you writing, what do you do, and where are you located? Spend a lot of time perfecting this sentence; it’s the most important one in the body of the letter. Where are you? People refer partly on the basis of expertise, and partly out of convenience. Yes, your address is on the letterhead, but if this doesn’t make your neighbourhood clear, mention the area. Your specialties. Who do you see? Don’t list everything you do or you’ll blunt the impact. Limit your list to 3-5 items. Your modality. Which approach do you use? Increasing numbers of referrers want to know not only who you see, but how you work. They know what they want. Languages spoken. If it’s English-only, omit this bit. Your BRIEF bio. Dispassionate, professional clarity is the goal. Avoid vagueness and superlatives. If you go longer than 5 lines you’re not trimming enough. How are clients referred? Can they self refer? Can any profession refer clients to you? Payment information. Are services reimbursable? How do you accept payment? Contact info, all modalities. You can rely on the letterhead for your address, but it doesn’t hurt to repeat your phone number and email. Enclosures. Have you included anything in the mailing? What? Signature. Don’t use a stamp or photocopy the signature. If you didn’t spend the time to scrawl your name, why should they spend the time reading the letter? Anyone who might refer to you. Use the results of your exercise “Identifying Your Referral Sources” from two weeks back. Next Week: Writing your Referral Form. Very helpful. Thank you for your thoughtful effort on this!